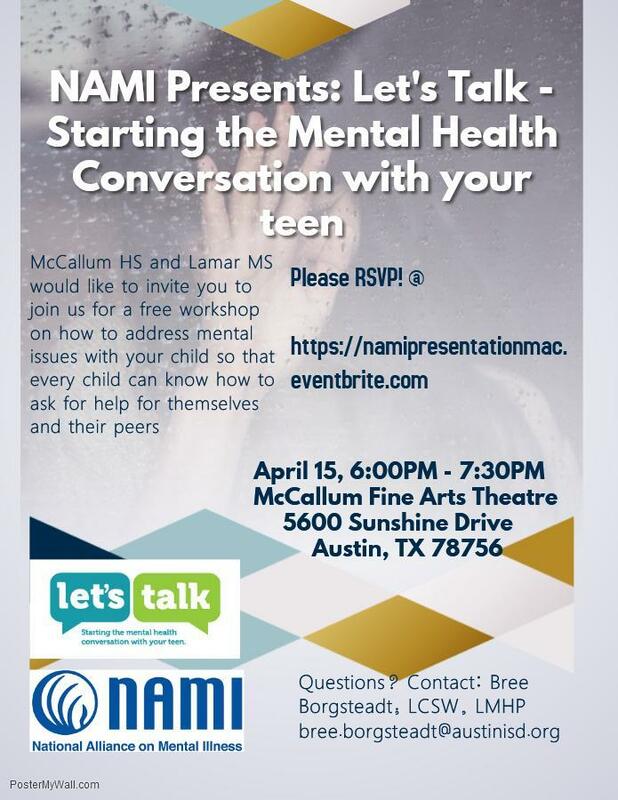 "Let's Talk: Starting the Mental Health Conversation with your Teen"
On April 15, 2019 at 6pm, McCallum will host a presentation for parents on how to begin the conversation with your teen (or soon to be teen) about mental health. The presentation will be held in McCallum's Fine Arts Theatre located at 6500 Sunshine Drive, Austin TX 78756. The presenters will be from the National Alliance for Mental Illness (NAMI) and should end at 7:30pm. We hope to see you there!